Scott contemplates what we have done. 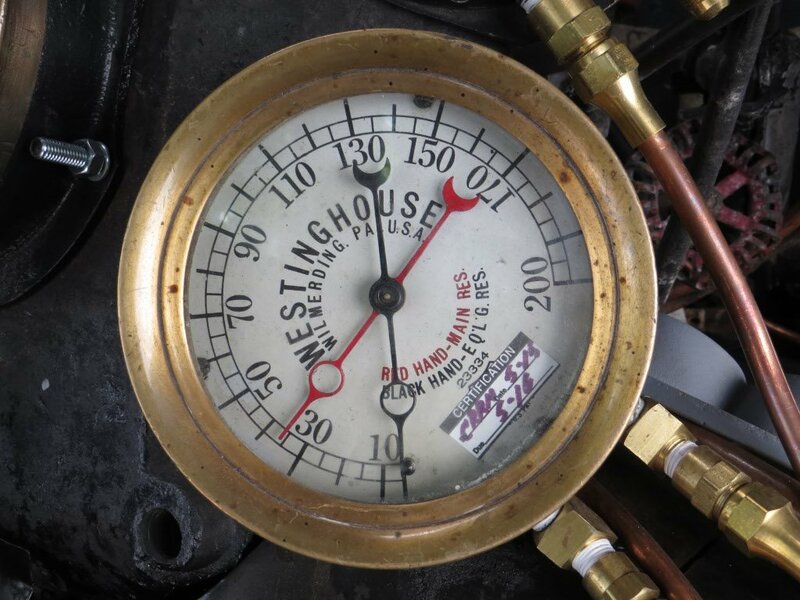 Air pressure starting to build. A face anyone can love. 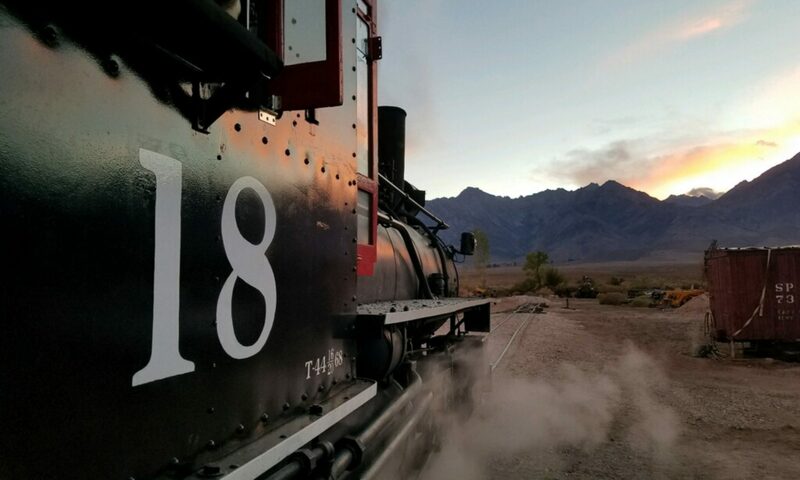 As we come down the home stretch, the #18 is looking more and more like a complete locomotive. 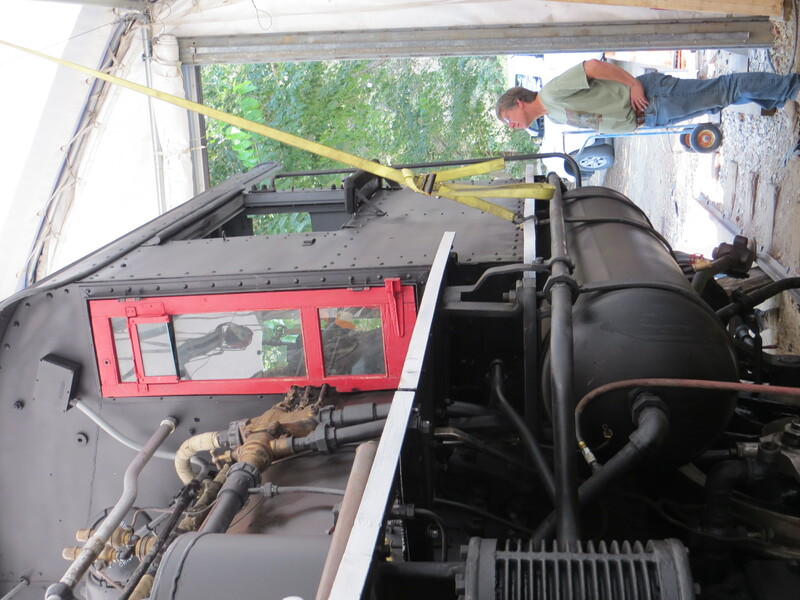 August saw us wrapping up numerous small projects: finishing the sander lines, installing the cab windows and doors, finishing the electrical, adjusting the blowdown linkages, and finishing leak checking the air system. By the time we finished up the air system was nearly leak free! One more pipe “tee” to replace and we will be done. Meanwhile the list of other miscellaneous items is getting shorter and shorter. 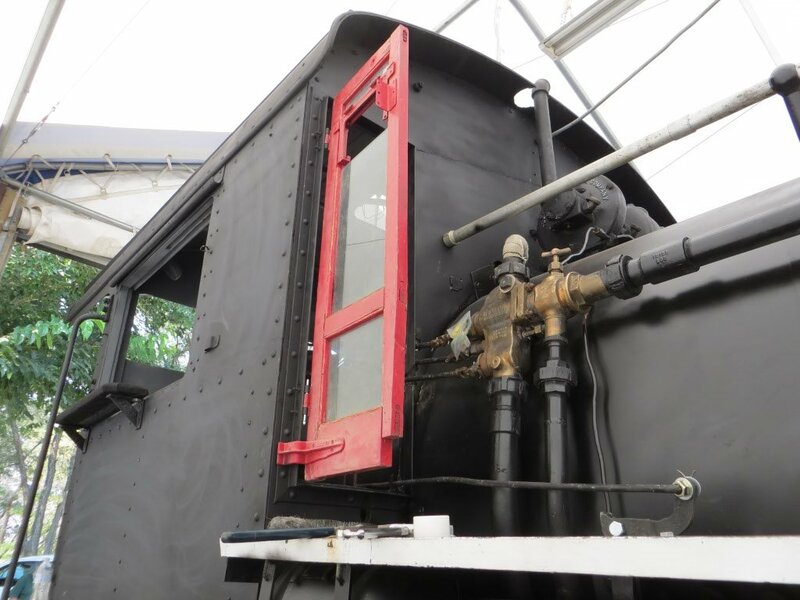 Still to do are the rear cab windows, engineers side floor, whistle rod, tender-locomotive connections and installing the left eccentric and setting the valve timing. 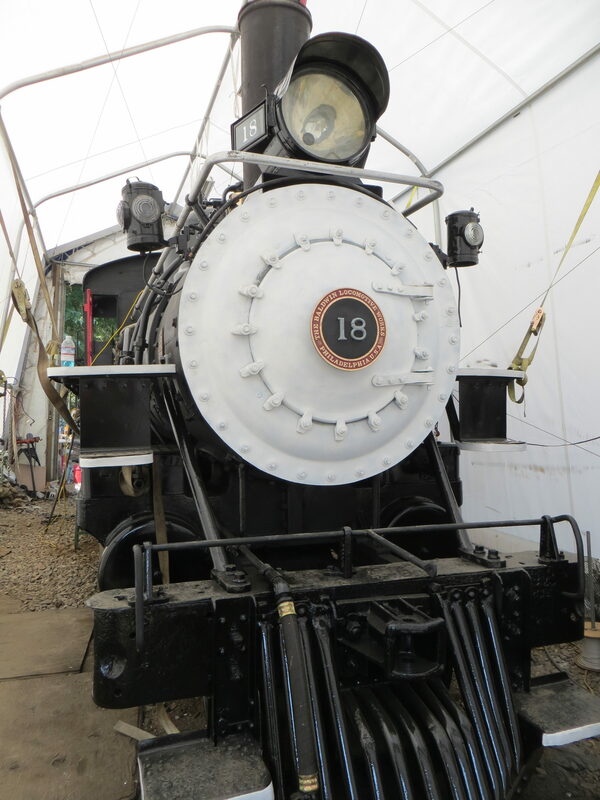 Throughout the month work has also been progressing on final paint on the locomotive. As of this post, work is about two-thirds complete with the cab and lettering still to be completed. Final paint and lettering on the tender will be done once it is inside the new building. As for progress on the new building, we have bought and paid for the structure, currently we are working on securing a general contractor to do the dirt work and awaiting the counties issuing of the building and grading permits (no additional approvals required for those). Although we had hoped for the building to be completed by our October BBQ, it looks like it will not quite be done. Slightly disappointing but we have waited this long so what’s waiting just a little longer. Finally be sure to buy your ticket for the BBQ dinner on October 15th. This year tickets can be purchased right here in advance. This will be a year you wont want to miss!